There are many well known examples of creatures from mythology that inspire dread, awe, curiosity or a even a combo of all three. Many of these have proved popular fodder in books and films – from Smaug the dragon, to the vampires in that popular vampire series I can’t for the life of me remember the name of. But there are other, less marketable creatures that deserve more recognition – creatures yet to get their big break in Hollywood. So here’s a list of some of the stranger, lesser-known mythological creatures found in folklore across the globe. This vampire cat will come back to bite you if you go cat killing. 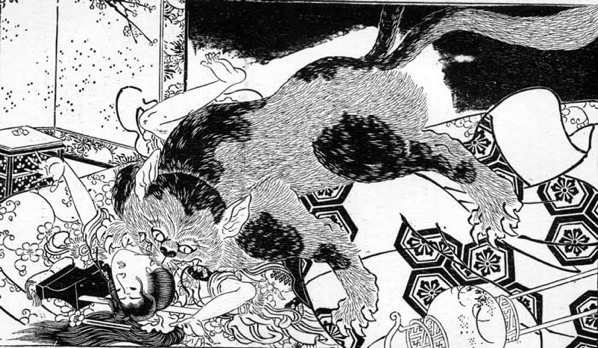 The stories of the Ainu people of Japan tell us that if man kills a cat without taking proper precautions, the spirit of the cat will avenge itself by killing him. The cat enters the man who killed it, who then gradually wastes away while gesturing like a cat and meowing. This awful death can be prevented by eating a part of the cat when it is killed, or it can be cured by killing a second cat and eating it. The Clurichaun is thought to be the surly drunken cousin of the famous Irish Leprechaun. Clurichauns are supposed to protect your wine cellar if you treat them well – but if you do not, they mess up your house and spoil your wine. 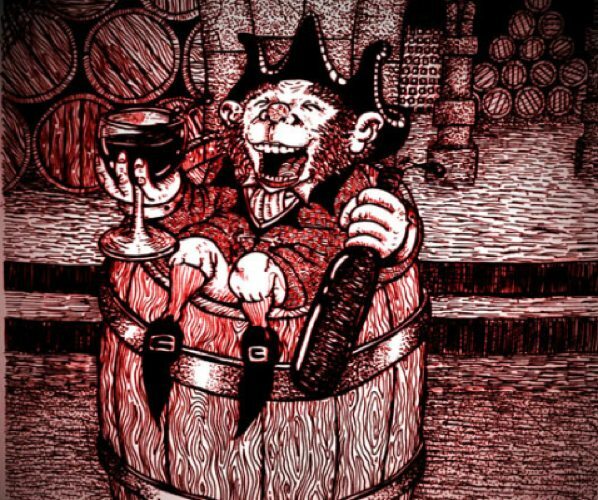 If you incur the wrath of a Clurichaun by stealing wine or being a drunkard, he will torment you endlessly, hiding in a cask to follow you wherever you move. 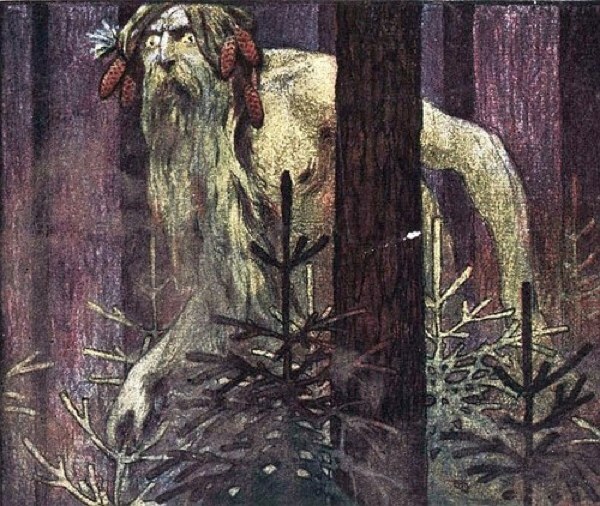 A single man from Latvian lore, Lausks is a winter spirit. He is said to be an old man dressed in a warm winter coat of animal fur, with a silver or crystal axe in his hand. Lausks spends his time in two ways. The first is to visit houses in winter and check structural integrity by using his axe to hit the walls, roofs and corners of rooms. Secondly, Lausks is said to pinch cheeks, ears and noses when they go outside in the cold – and can therefore be blamed for cracks in walls and red or numb cheeks and noses in Winter. 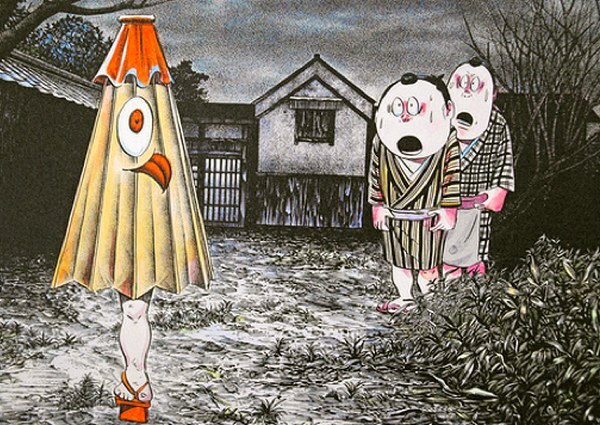 The Japanese believe that lifeless objects may be given a life of their own, becoming what is known as a Tsukumogami. One such object is a living, breathing paper umbrella. The umbrella has two claw-like hands, as well as a single foot – made from the handle – which wears a Japanese sandal. A single large eye sits above a mouth with a long, lolling tongue. Despite its intimidating appearing, it is said to be a rather friendly spirit. This fearsome beast is probably one of the more well known creatures on this list, and has sometimes been seen in books and film. 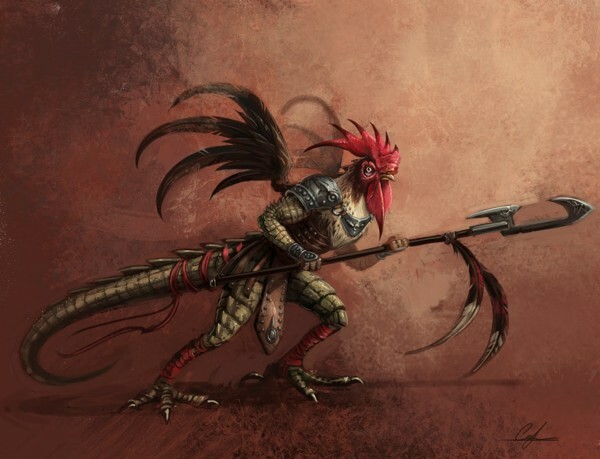 The cockatrice – which is quite a lot like a basilisk – is most often said to be a cross between a rooster and a dragon, with the head of a rooster, full or partial dragon wings, and a combo of body scales and feathers. It has the ability to turn people to stone with a glance, or to kill with a touch – but it is not without its weak points. Weasels are thought to be immune to their deadly gaze, and a cockatrice is killed instantly if it hears a rooster crow or sees its own reflection. Hailing from England, Padfoot is said to be a huge black dog that can shape-shift into other forms. It has the ability to be invisible – and those who do see it should take it as a death omen, if they don’t die right then from the sight of it. 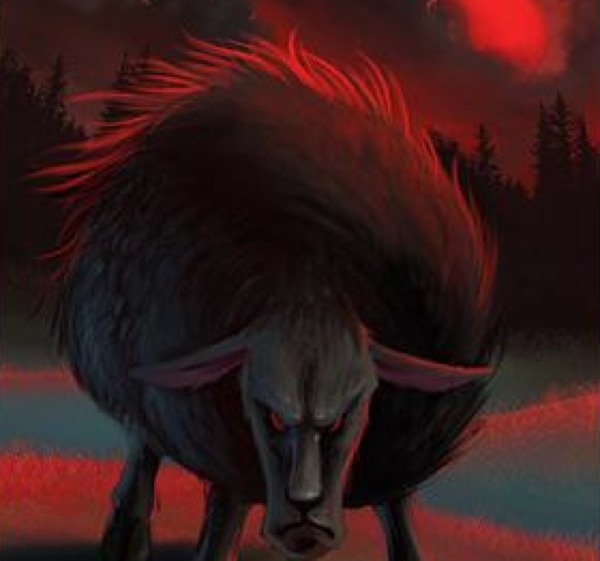 Though most often taking the form of a black dog, it can also present itself as a demonic sheep with burning eyes, or a giant black donkey. Whatever form it takes, it can be known by the dreadful sound of the chains it drags along behind it. In Slavic mythology, the Leshi is a cheeky guardian spirit of the woods. Leshi often appears as a tall peasant, either without a belt or with shoes on the wrong feet. He is sometimes said to have wings and a tail, and to be covered in black hair. He can change his size from that of a blade of grass to that of the highest tree, and can shape-shift into an animal, a person – or even a large talking mushroom. To be caught by a Leshi would mean being taken back to his cave and tickled to death. How awful. To protect yourself in the event of a Leshi encounter, you must turn all of your clothes inside out and place your shoes on the wrong feet. 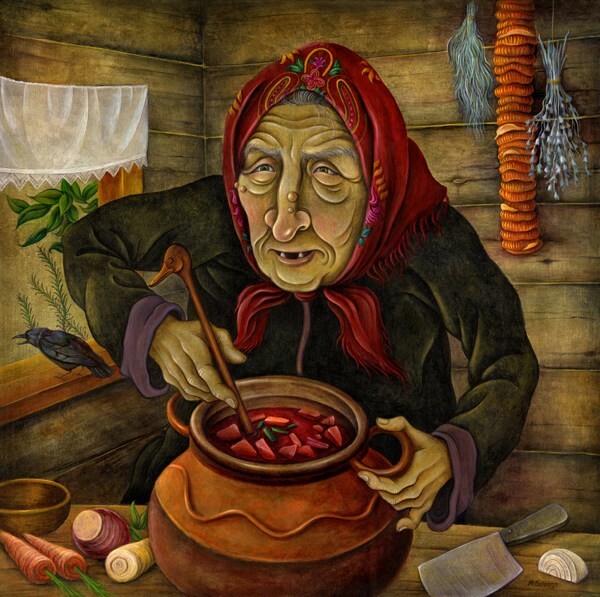 Thought to have inspired the idea of the witch in the famous Hansel and Gretel tale, Baba Yaga is a hag of Slavic origin, said to live in log cabins in the woods. She is said by most to be evil – and despite her perceived wisdom, it’s considered unwise to seek her help. The main difference between her and other more mundane hags of folklore is her chosen mode of transport, which is a mortar and pestle. She uses the pestle to ‘row’ through the air while sitting in the giant mortar, with a broom at the back to sweep away her tracks. She is also said to live in a house without any windows or doors, which supposedly has giant dancing chicken legs for moving around. 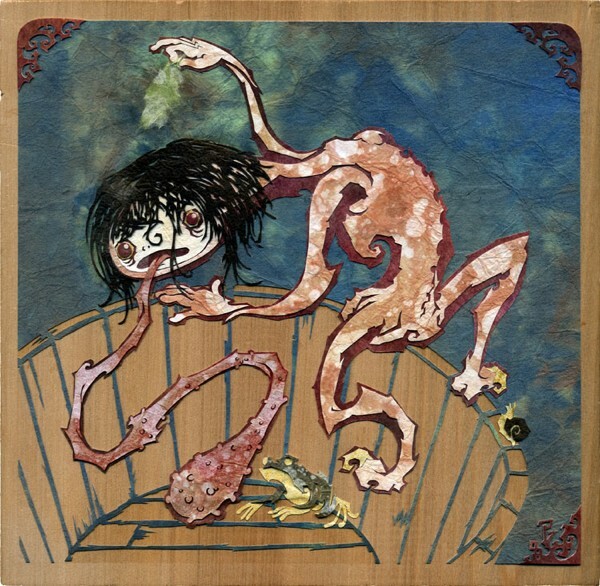 A demon from Japanese folklore, this unusual creature commonly takes the form of a red and warty humanoid with frog-like features and a long tongue. Its name means Filth Licker, which is essentially all it does with its life: lick filth. It is known for sneaking into bathrooms and licking them clean – especially those hard-to-reach nooks and crannies. Beyond that, it isn’t really said to do anything, aside from possibly scaring people into a higher level of bathroom hygiene. This beast is probably best thought of as a messed up version of a dragon. It has curled horns and is thought to look like a bull or bison, but with a mane like that of a horse. 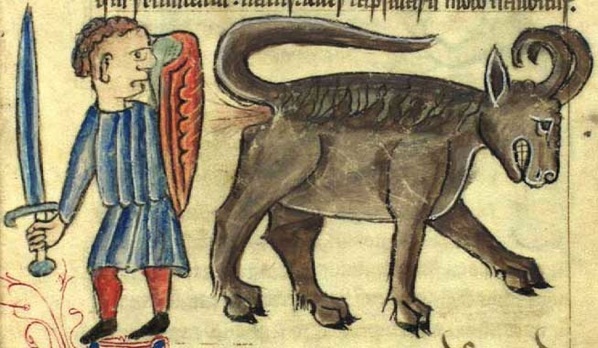 It has a unique defense mechanism: its dung. This magical flaming dung is acidic, and can be thrown as far as 600m to deter predators and attackers. If such a creature existed, this would definitely be an effective response.